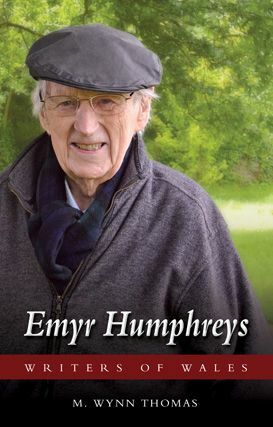 Published to mark the centennial of his birth, this is the first comprehensive and authoritative study of the life and work of Welsh writer Emyr Humphreys. With a remarkable career spanning over seventy years as a writer, Humphreys has published more than two dozen novels, as well as several collections of short stories. In addition to offering a critical and interpretative survey of his remarkable body of work, this book also sets Humphreys’s output in the context of the dramatic and transformative decades in recent Welsh history during which it was produced. The essays are supplemented by informative interviews between Humphreys and M. Wynn Thomas. "Emyr Humphreys’s achievement is, as M. Wynn Thomas argues, Faulknerian in its epic scale, chronicling the great cultural shifts that Wales has undergone over the last century – from the complex pressures of nineteenth-century Nonconformity to Wales’s struggle for identity in our contemporary globalised world. While the perceptive readings of this study will give new insights to those familiar with Humphreys’s work, it will be indispensable also to those coming to this major writer for the first time."